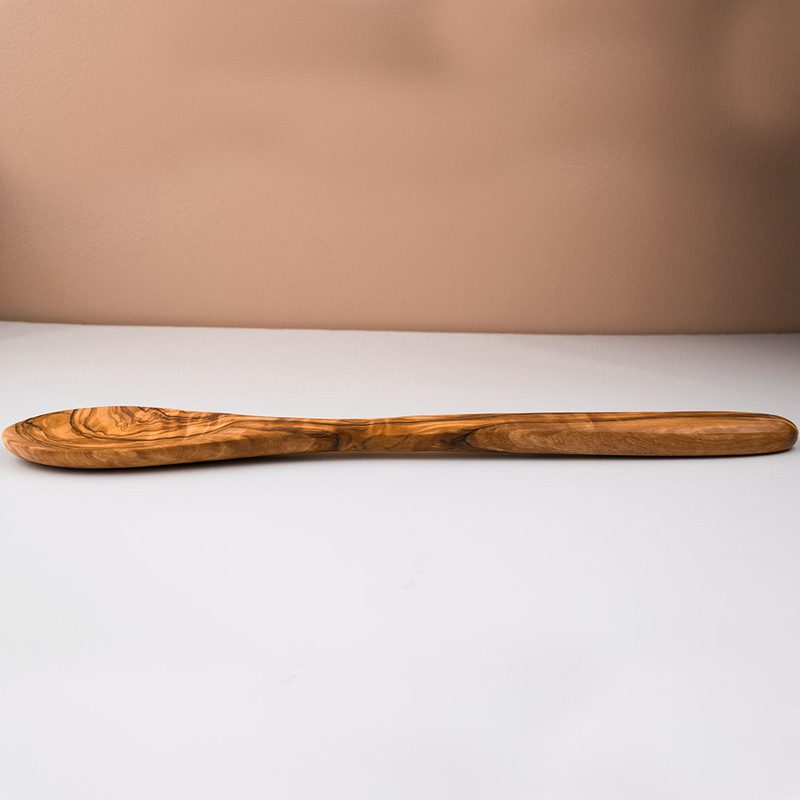 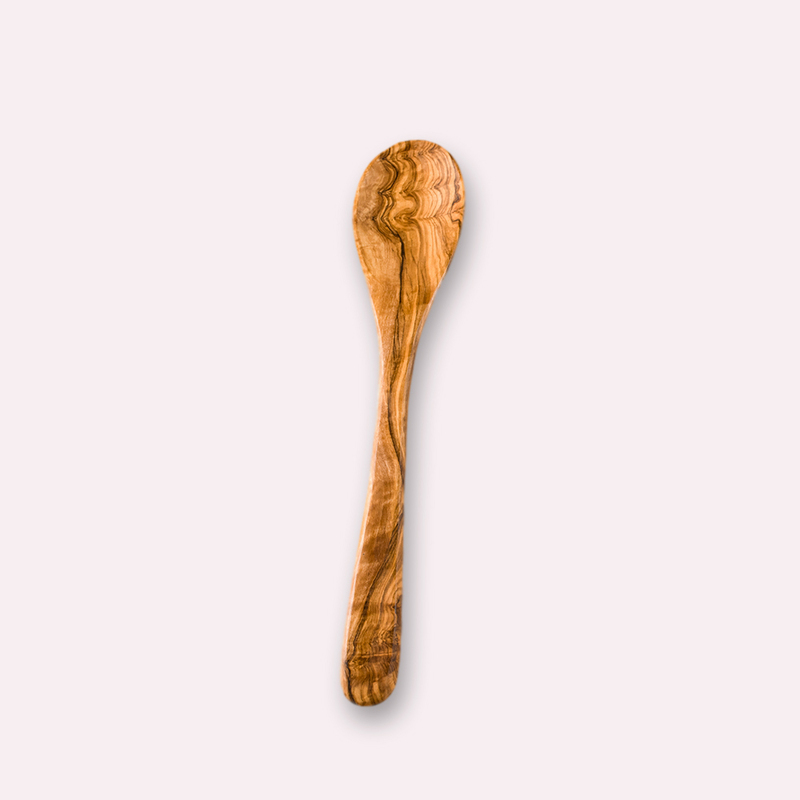 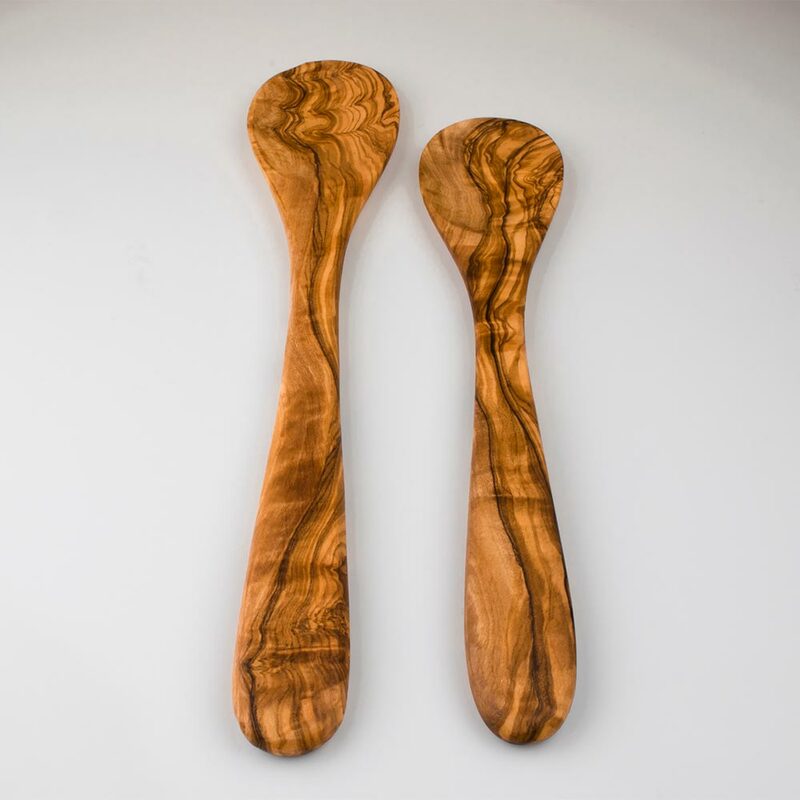 Our Olive Wood Spoons are handmade from original Italian olive wood and ideal for use with tin-lined copper cookware. 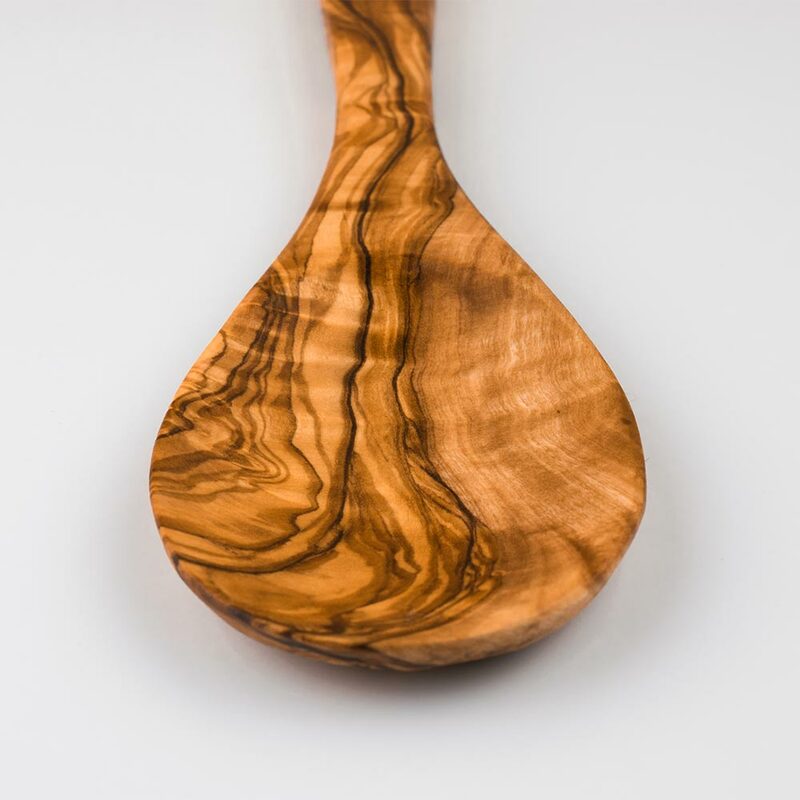 Olive wood is the ideal material for cooking accessories. 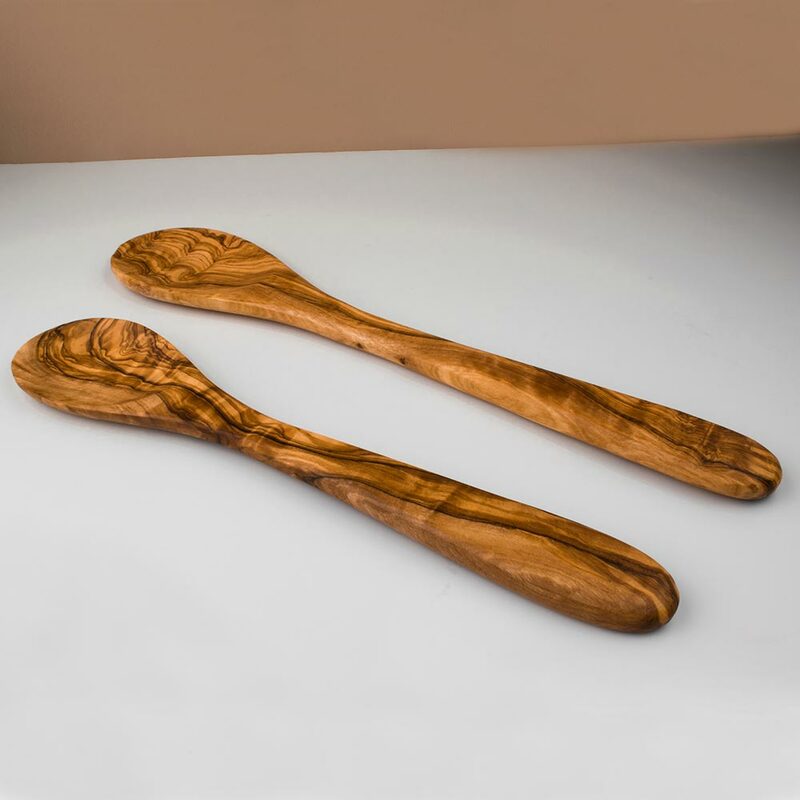 It provides the strength and flexibility to handle all type of foods while being gentle enough to be used for tin-lined copper cookware and other nonstick coatings. 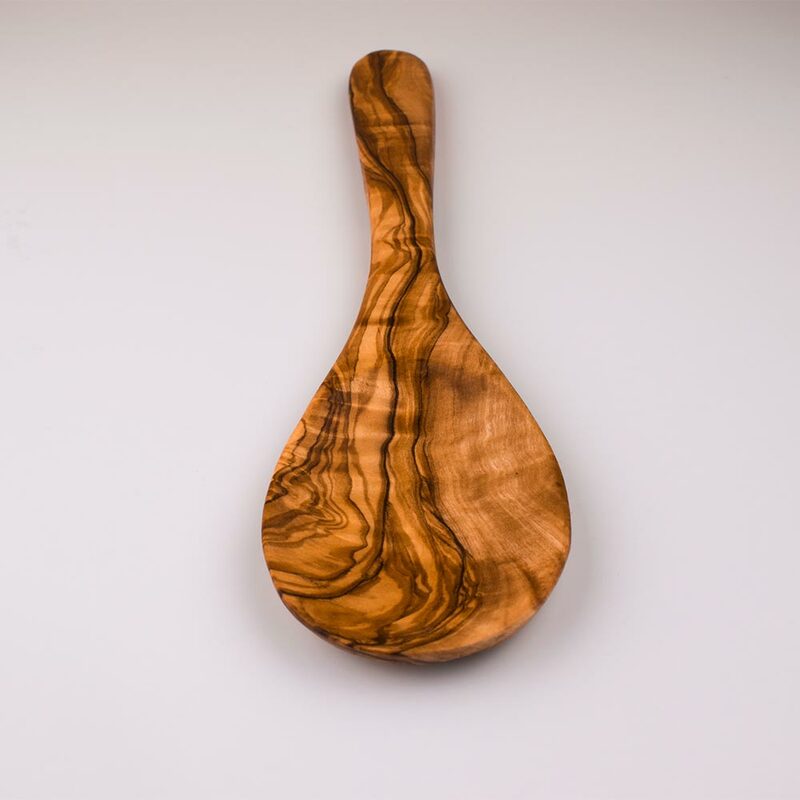 The wood is sourced from the beautiful Umbria region in Italy and custom made to perfectly accommodate our copper cookware.